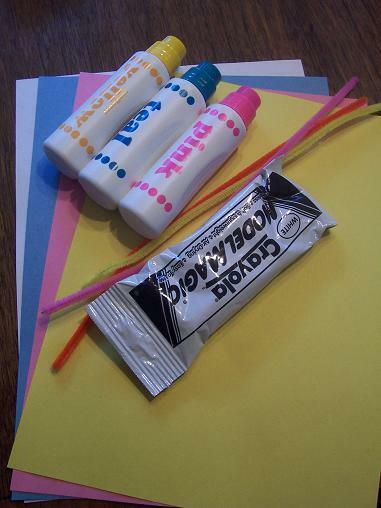 Here’s what you’ll need: 3 pieces of construction paper in various colors, photo paper, pipe cleaner, clay or playdough, something to decorate the paper with. 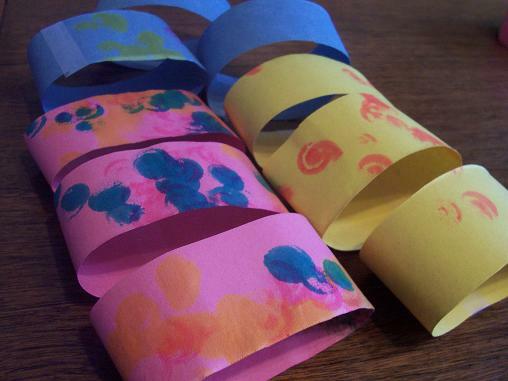 Hailey used the paint dobbers to decorate the paper. 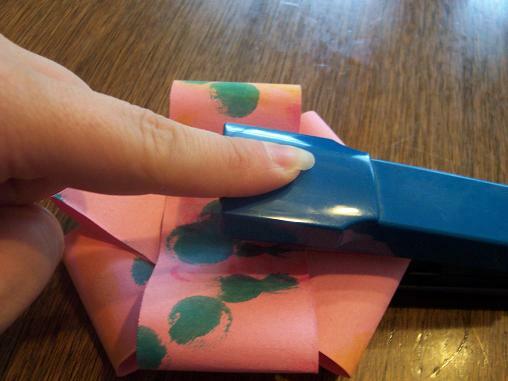 Cut three strips from each color of paper. 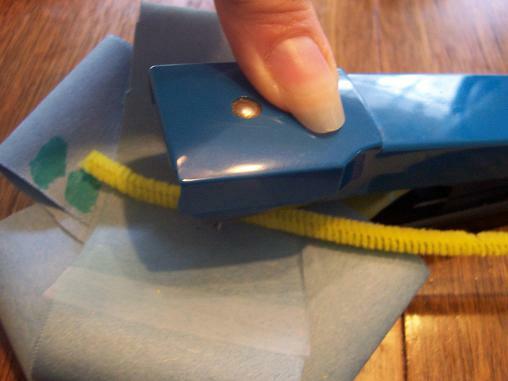 Make those strips of paper into loops- I taped them to make them stay in the loop shape. 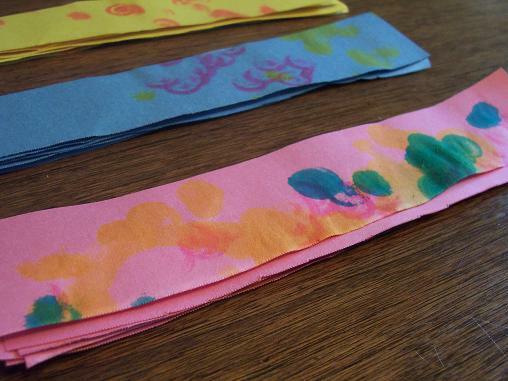 Then staple the three same colored loops together to create the flower. Staple pipe cleaner to the flower for the stem. 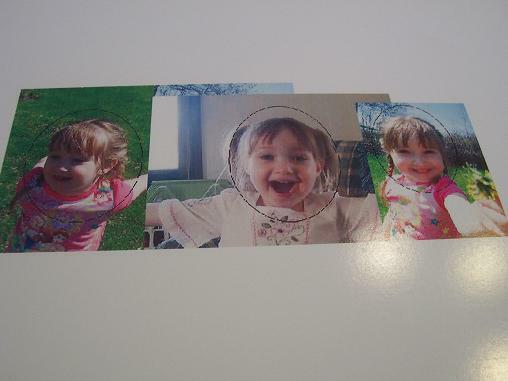 Print out some of pictures of your child on photo paper. 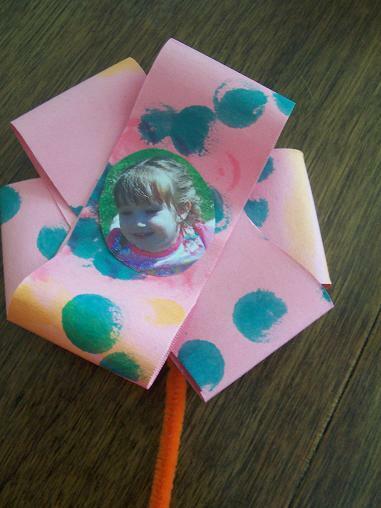 Cut out the picture in the shape of a circle and glue or tape it onto the middle of the flower. 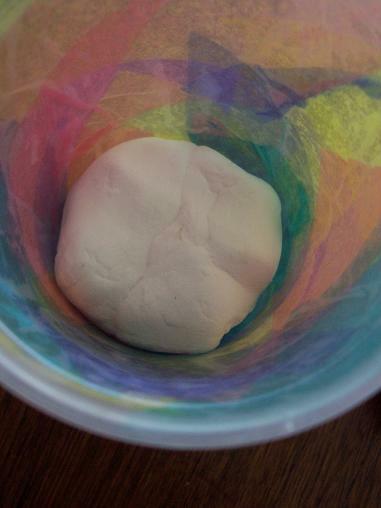 Get your vase and press some clay or playdough into the bottom. Press the flowers into the clay/playdough. Give the vase of flowers to a special mom or grandmother for Mother’s Day. Those flowers are so cute. I love the dot art. I am glad you are back to crafting, I can not wait to see what you guys do. Thanks for sharing we Friday Showcase. those are really cute flowers! Those are adorable! My daughter loves using her “dot dot’s”. I’ve got two weeks until we see my mom for Mother’s Day. I know what I’m making for her now. I also host a link up party every Tuesday called Tot Tuesday. I hope you’ll stop by and link up some of your great ideas. Feel free to also grab my featured button. have a great day! Thank you SO MUCH for posting this idea! 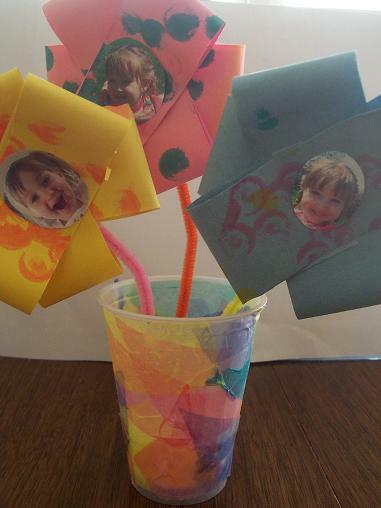 I spent forever scouring the internet to find a craft that my 2.5 yr old could do for mother’s day and this is perfect! 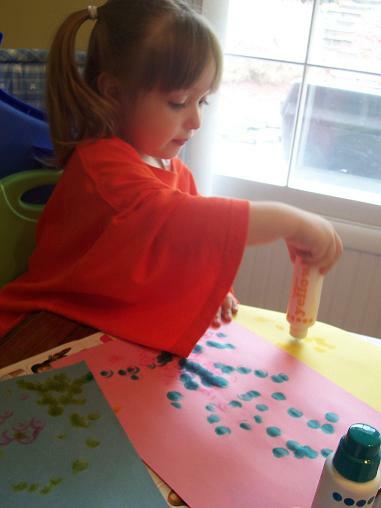 All the other ideas were handprints or so complicated it was a craft made by me, not him. As we have to mail ours, I adapted it a bit (no vase and stapled flower to a card). Thanks again! 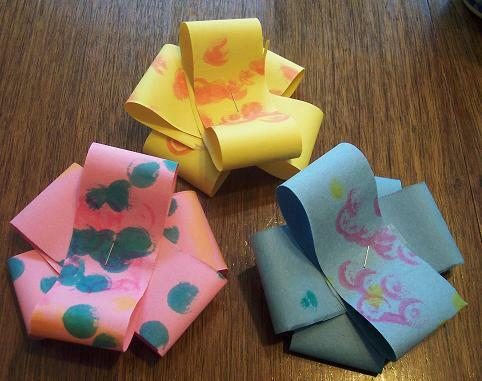 I made these with my preschool children and they turned out adorable. thank you very much for posting this idea. it was amazing to see the creativity of the children with their dobbers.